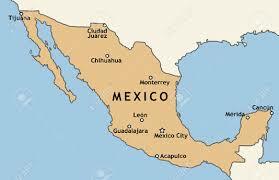 American living in Mexico shot dead - Integration Through Media ....! ACAPULCO, Mexico, (AFP) – An American man was shot dead in the Mexican resort town of Acapulco, Guerrero state officials said Saturday, with local media reporting he was a supporter of legal medical marijuana. The prosecutor’s office said the man — named by local media as activist John Galton — was killed at his home, where a drug lab and marijuana plants were found. Six gunmen burst into his home in the Pacific coastal town, killing him and injuring another man, police said, suggesting an organized drug crime hit. Drug-related violence has resulted in some 200,000 deaths in Mexico since December 2006, according to official figures.